Two weeks ago, I wrote a post lamenting that it didn’t seem that Black Friday had a lot driving it this year. As it turns out, I was correct in my assessments as it was reported that sales were down over 10% for the Black Friday weekend. Predictably, Monday was an ugly day on Wall Street, as investors worried that this indicated a slowdown in the economy. While the sales figures are discouraging, I think that they are explainable by several factors and they are not an indicator to any sort of economic slowdown. There are several reasons that I believe explain the numbers this year. Lower tablet and TV sales – In my previous article, I wrote about how many of the items that had drawn consumers into stores on Black Friday past are no longer in demand. The deals for tablets and TVs are still there, but compared to 2012, which was the peak of Black Friday sales, there just aren’t as many people who are looking for a tablet or a new TV, because they already have one. Maybe even one that they bought on a previous Black Friday. Black Friday is no longer a day or even a weekend – I have one e-mail account that’s pretty much dedicated to signing up for store promotions. Starting on Monday of last week, the volume of e-mails skyrocketed with every subject announcing that ‘Black Friday Sales Start Now!’ The sales no longer start at 6am or 4am on Black Friday, and even the Thanksgiving Day openings aren’t enough. It’s more Black Friday week, and many of the sales offered throughout the week leading up to Black Friday were not captured in the sales figures. 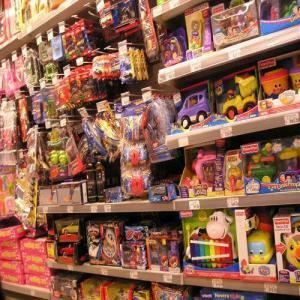 The sales themselves were, by and large, lame – There are traditionally two levels to Black Friday sales: The first is Door Buster deals that feature items sold at cost or at a loss, with the idea to draw people in. The second are Sale items that offer lower prices that still allow companies to turn a profit but are enough to entice shoppers to buy. This year, the Door Busters were there, but the normal Sale items that keep Black Friday shoppers moving from store to store simply weren’t there. I looked through the Black Friday ads and was very impressed. My wife went to a few stores and reported that Kohl’s was offering a bit of extra Kohl’s cash, but the prices were not any different than on a normal day, and Toys R Us barely had anything at a discount. Bottom line, if shoppers aren’t going to get any better deal by going out on Black Friday as opposed to any other day between now and Christmas, many will choose not to. Black Friday is no longer new and exciting – Black Friday has really taken off just over the last few years. When stores started opening up super early and lines started forming and talking about getting that new TV the next day was the big discussion over the turkey dinner, Black Friday was cool and an event all of its own. Now that it’s been around for a while, and is now getting diluted with longer sales, and has less appeal due to less ‘must have’ items, a decline seems almost expected. Wall Street and the media want sales and profits to grow every year, but in some cases, that’s just not possible. They might be comparing apples to oranges – Along the same lines, I look at the last couple of years, when TV and tablet sales drove the sales spikes, and wonder if the comparison numbers are skewed. Many of the items purchased during the Boom Years of Black Friday had nothing to do with the Christmas season of which Black Friday is traditionally associated. Instead, people purchased items for themselves, and just happened to do so on the day that traditionally kicks off Christmas shopping. In the end, Wall Street dropped big time on Monday after hearing the numbers. I think this was a big mistake, and the numbers really won’t matter until the final sales numbers for the entire 2014 holiday season are released. That’s going to take time. I think between now and then, you’ll get a lot more people out there shopping, sales will get better as stores try to strike a balance between higher margins and higher volumes, and customers wait out the stores to see what deals can fall their way. Without great deals or must have products to drive customers into stores, they may not have gone yet, but with a slowly improving economy and steadily improving employment numbers, I do believe that customers will show up. Hopefully at some point, Wall Street puts in perspective what many shoppers already know, that Black Friday is no longer the day to do holiday shopping, but instead is just one of many days. Readers, were you one of many who seemed to skip Black Friday this year? What correlation do you see between lower Black Friday sales and the overall sales for the season? My wife and sister in law go out on Black Friday, but only buy when the price is right. They also tend to frequent smaller stores where marketing is much more important and need to draw you in for these sales. I knew this was coming anyway. I noticed a lot of retailers were starting to increase prices over the past few months. They do this to “discount” them back down for Black Friday. Most people are oblivious to this tactic and think they are getting a great deal, but in actuality, they are just paying what it was back in July and August! The deals were terrible. I was looking for a computer and found nothing! I know, I’ve been VERY unimpressed with the computer deals this season. I think they’re all trying to unload the tablets since the sales on those have fallen off a cliff. Hereabouts, I stayed in the house. Did not even want to get out on the roads to mix with my fellow homicidal drivers, who presumably would be whipped to more than their usual frenzied state. Personally, I have been really offended by companies’ starting the Greedfest on Thanksgiving Day. For heaven’s sake, give people ONE DAY to be with their families and skip the commercial assault. For this Christmas, I’m not shopping in ANY of the stores who made their employees come in to work for “Gray Thursday” sales and pitched those sales to people who should have better sense. Amazon sells some really nice stuff to give as Christmas presents. So does Costco. Bet you’re right that in past BF sales, people have been buying gear for themselves. The actual gift-giving rate is unlikely to change much. Certainly not unless the population drops considerably, or people decide to stop exchanging gifts at Christmas. I don’t shop on Thanksgiving but I don’t actively avoid the stores any other day of the year if they do decide to be open that day. My understanding is that more often than not, they take volunteers to work that day, and the pay is usually high enough that they get volunteers. I’m sure there are some ‘you have to come into work’ cases out there, but I see more ‘shoppers’ versus ‘workers’ complaining about the Thanksgiving Day hours so I’ve largely dropped it from my radar. I dunno. In my experience “volunteer” too often means “you’d better do it…we’ll remember if you don’t.” It would be one thing if they paid overtime. Anyone remember that? Black Friday, for me, is really interesting, but I failed to go to this year’s because it feels like there’s nothing important to buy. I just bought a TV and a laptop last year’s Black Friday, and I have already bought gift items. More importantly, I observed that there were few advertisement on best deals and discounts. Exactly, I’ve heard from many different people that the perception was the sales just weren’t as good. I agree, though I’m always very reluctant to buy any technology type item on Craigslist or similar private party type purchase. It just seems too wrought for getting a lemon or problem. There’s a certain amount of backlash against Black Friday too……I hear a lot of “I’m not sitting overnight in a parking lot just to buy a cheap .” I’d rather take my time, figure out exactly what I want, and then find the best deal for it. I found the deals to be horrible this year and not worth getting out of bed for. The only thing I bought was target gift cards which were 10% off. And even on cyber Monday, no deals. Even ting, which last year had some great deals on phone was horrible this year. I found the bitching and whining from Wall Street dumb, if you don’t have good sales, why do you think people are going to buy? I think stores are trying to see if the economy is well enough that they don’t have to discount. Answer: no. I noticed that the sales tended be a bit underwhelming this year as well. Walmart especially seemed to have pretty much to have the exact same sales this year as last. In fact, I remember seeing a couple kitchen items that we bought over the last couple Black Friday sales on sale for the same price as when we bought them! Yes, and the age old ‘raise the prices before putting them on sale’ seemed to be a big strategy this year.